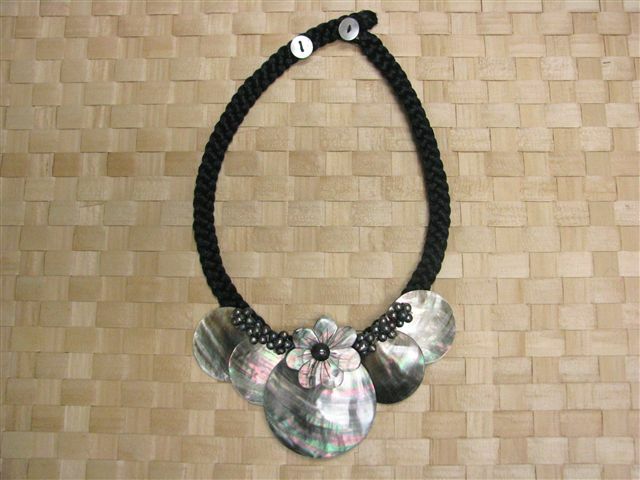 This Combination Choker consists of 5 Round Mother of Pearl and 1 Tiare Shaped Shell. Excellent quality shells. Very nice neck piece. Not too heavy. Comfortable.